Write it, record it, and sing it again and again! YOUR STUDENTS CAN BECOME RECORDING STARS! This is a hands-on experience to unleash creativity, and build self-esteem as students work together to create songs the whole school can call their own. A song makes learning more fun, especially when the kids help write it. Students need no musical background to participate. Professionally produced Song Background Tracks that make the Students sound like Professional Recording Stars! Stay connected through web pages developed specifically for your school. Unite your students with a one-of-a-kind, educational, fun, and priceless experience! A professional mastered CD is then created for all to enjoy forever! This 5-10 day Artist Residency works with each class in the school to create brand new original songs based upon the Make a Wonderful Day® theme. 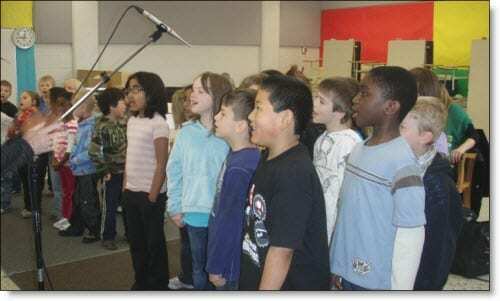 Through the class’ four sessions, songs are created, practiced, recorded and revealed in a final concert where each class takes their turn sharing their new masterpiece with the rest of the school. Combining the Make a Wonderful Day® theme with virtues, gifts of character, topics the kids are learning about in other subjects or and their own wonderful experiences, children write lyrics and songs that they can relate to and be proud of. This process always starts with one question to describe something WONDERFUL in their lives. This engaging learning environment allows kids to practice the skill of Song writing and creative expression first hand while they create their own positive songs. Their songs encourage people to be happy, to laugh more and to be kinder and friendlier. They are songs that help Make a Wonderful Day® for the songwriters and listeners alike. When students write their own songs, they’re more apt to live by the words and quietly convince other students to do the same. The process fosters responsibility, cooperation, the sense of community and unity within a group dynamic towards a common goal. Song writing is a great team-building exercise that focuses on the elements of collaboration: listening, sharing, giving constructive criticism and praise, and celebrating good work. The most important lesson of all, though, may be the realization that anybody can write a song. Awareness like that can break down barriers and empower young writers. The end goal for the students is not to learn about synonyms or metaphors; it’s simply to write “wonderful” songs. The use of brainstorming techniques, song title, hook and theme development, and the use of song form, meter, syllables and rhyme, melody and chord structure become tools that, if applied correctly, help them achieve their goal. It’s about using music more intentionally, to inspire, uplift, heal or enlighten. Think of it as medicine or therapy via music. 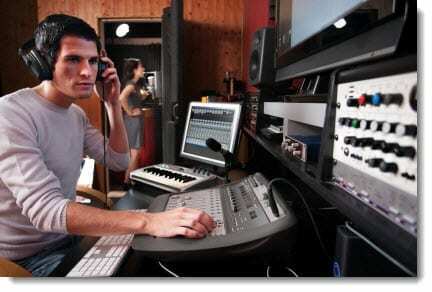 Professionally produced Song Background Tracks that makes the Students sound like Professional Recording Stars! Once the songs are written, they are taken back to a recording studio where the music arrangements are developed, lyrics are fine-tuned and a recording is made for the students to practice with prior to the final recording of the song for the CD. All lyrics and practice recordings are then posted to the website for easy access. Students and teachers then have the opportunity to practice at a time that is perfect for them. Click here to book an appointment to discuss how your school can have its own unique Make A Wonderful Day® Songwriting Recording and CD Experience!! Each school has their own Make a Wonderful Day® Songwriting, Recording and CD Experience.This information is captured throughout the process and posted on our website and schools can see their progress through our School Login Page. Students and teachers have the ability to rehearse at will by accessing the song lyrics and practice recordings provided once again through our School Login Page. One last 60-minute rehearsal workshop session provides the opportunity to fine tune the songs and to both educate and prepare students for the recording session. After each class has finished creating and practicing their own original piece of music from scratch, it is time to record it and capture their brilliance forever. Using the services of a premiere location and live recording company, professional recording equipment is brought to the school transforming it into an on-location recording studio. This unique recording session adds yet another dimension and a better understanding for students of the whole music creation process. Your Child’s CD – Written by and Starring them. An everlasting legacy for years to come. 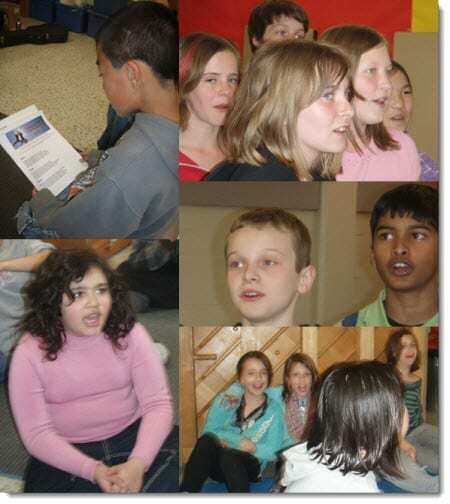 A professional quality CD is then produced for each student who has participated in the song writing workshop. A TREASURED KEEPSAKE REMINDING STUDENTS FOREVER ABOUT THE WONDERFUL TIME THEY HAD WHILE ATTENDING THE SCHOOL. 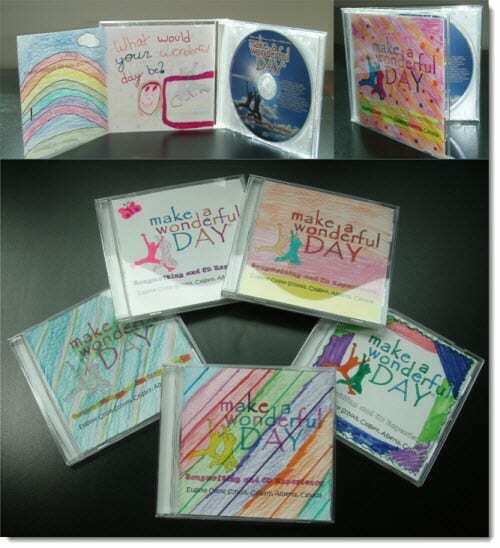 Each child customizes the Make a Wonderful Day CD cover template with colourful drawings and poems, stories or a message about something WONDERFUL in their lives. The songs are written, rehearsed and recorded and now it’s time to share them with the rest of the school. During a special gathering in the gymnasium, each class introduces their new song creation to the other students in the school. Lyrics shown on an overhead projector allows everyone to sing-a-long with the new original songs. This school assembly provides a great opportunity to celebrate and share the wonderful results of the experience with the rest of the students and teachers. Click here to book an appointment to discuss how your school can have its own unique Make A Wonderful Day® Songwriting, Recording and CD Experience! !